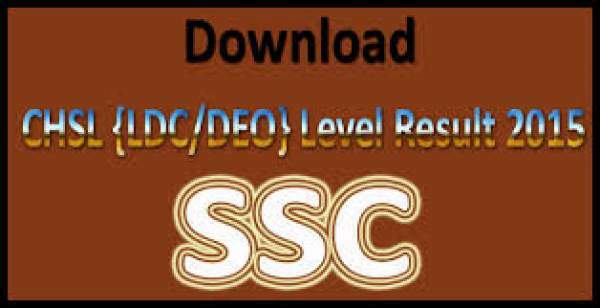 SSC CHSL Tier 1 Answer Key 2017 ssc.nic.in 10+2 LDC DEO: The SSC answer key of the Combined Higher Secondary Level (CHSL) exam has been released by the Staff Selection Commission. This exam had been conducted by S.S.C. from 7th January 2017 to 8th February 2017. Eligible candidates can download the answerkey from the following official site of Staff Selection Commission ssc.nic.in. Hence, for the candidates who are very inquisitive about their result, this answer keys can be useful to predict the result. The SSC also stated that those candidates who want to submit a representation could do the same from the official website only. This exam is being conducted in three stages. The tier-II of the same examination will happen on April 9, 2017, and the date of the Tier III exam is not officially announced by the SSC. Tier-II will be Descriptive Paper and Tier-III inculcate Typing Test/Skill Test examination for the above-mentioned posts. The tier I exam consisted of 200 mark exam which was further classified into four parts of 50 marks each viz. General Intelligence, English Language, Quantitative Aptitude, General Awareness. Each question carries 1 mark. Negative marking was off 0.25 marks. Means for the 4 incorrect answers 1 mark will be deducted. The time limit for this exam was 1 hour 15 minutes. This exam is taking place for the recruitment of 5133 posts. Out of which 3281 post is of Postal Assistant/Sorting Assistant, 1321 post is of LDC, 506 post is of DEO whereas the post of Court Clerk has 26 vacancies. Click on SSC CHSL 2017 Answer key. The answer keys will appear on the screen. Staff Selection Commission is an organization which comes under the Government of India. It works to recruit staff for various posts in the various Ministries and also for the different Departments of the Government of India and in Subordinate Offices. The headquarters of Staff Selection Commission is located in New Delhi. Apart from that at present, it has seven Regional offices at Allahabad, Mumbai, Kolkata, Guwahati, Chennai, Bangalore. It also has two Sub- Regional offices at Raipur and Chandigarh.